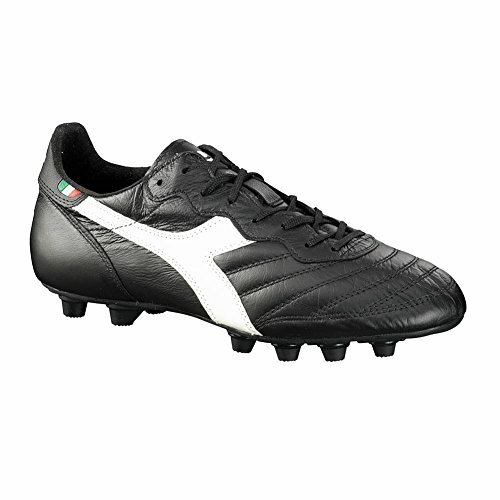 Brasil Italy LT MD Soccer Cleats from Diadora constructed of calf skin leather. Details: Ultrasoft water resistant calf skin leather upper, anti-stretch fabric lining and anti-slip rear lining, sockliner with bending points in the forefoot area, anatomical, made from fabric and shock-absorbing EVA elastomer insole, differentiated density polyurethane outsole with 12 fixed studs. Material: Calf Leather, Polyurethane.